FBI offices around the country are setting up food banks to help agents and staff who are going unpaid during the government shutdown, CNN reports. FBI field offices in Dallas, Washington, and Newark have set up or will set up food banks where employees can donate food items for other employees to pick up. 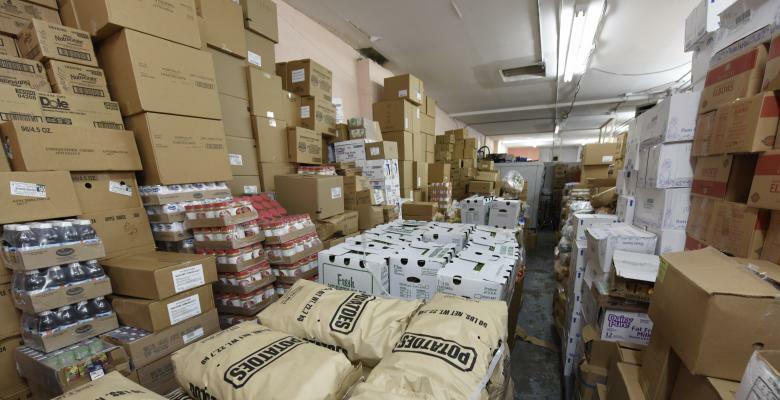 Two field offices on the west coast are also considering a number of ideas to help employees as the shutdown enters its fifth week, including setting up food banks. "We're all in this together and we're banding together to help each other out in any way we can," Melinda Urbina, a spokeswoman for the FBI’s Dallas field office, told CNN. About 35,000 FBI employees are working without pay during the shutdown. Some FBI employees have been looking for work outside the government as the shutdown continues, although there are limits on the type of work the bureau’s employees are allowed to do.